Please wear earphone for better result. Don't listen when working, walking and driving. 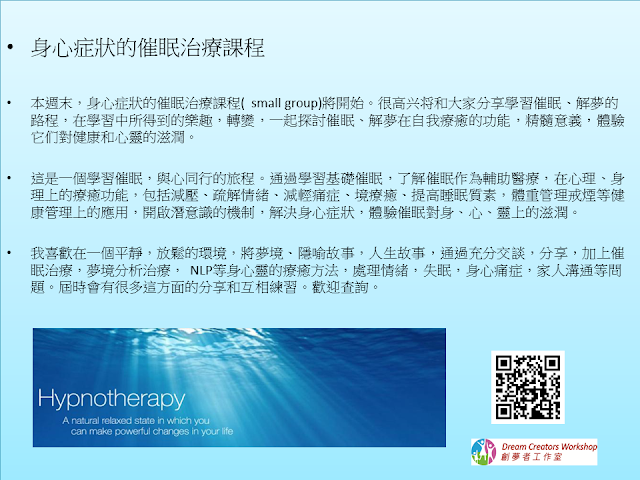 Recently, I am teaching hypnotherapy for a group of people with huge Earnest and Interest in hypnotherapy. Meanwhile, I am deeply immersed myself in hypnosis state - relaxed but highly focused... Just an amazing state - the best state for learning, reflection and change. 我是怎樣做自我催眠的？How do I work as a hypnotherapist? What Mother dream teaches me?